High grade of rigid cast iron housing with case hardened spindle shaft. Universal design suitable for varied applications like milling, boring, drilling, reaming, tapping etc. Quill type units with axial cylinders with hydraulic feed control. Wide choice of spindle speeds. Optionally power tool clamp and through coolant are also provided. 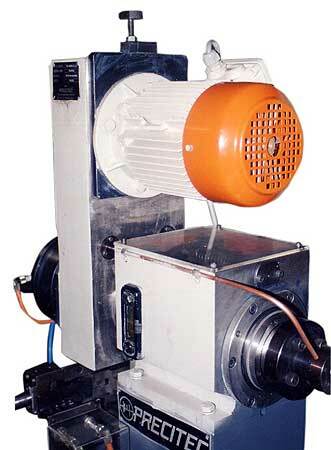 Motor power selectable based on the requirement. Quill type units with axial cylinders with pneumatic feed control. Wide choice of spindle speeds based on the customer application. Suitable even for application using solid carbide tools requiring high-speed and rigidity.